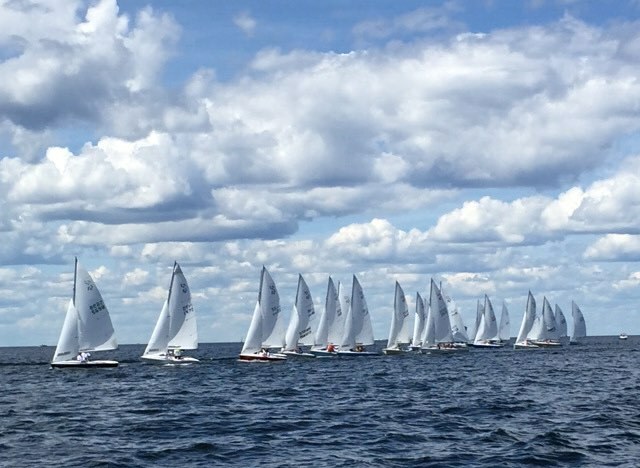 The 110th Ephraim Regatta, the oldest continuous regatta in the United States, was held over the weekend of Friday, July 31 – Sunday, August 2. There were 27 Flying Scots (including nine juniors) registered for the event. 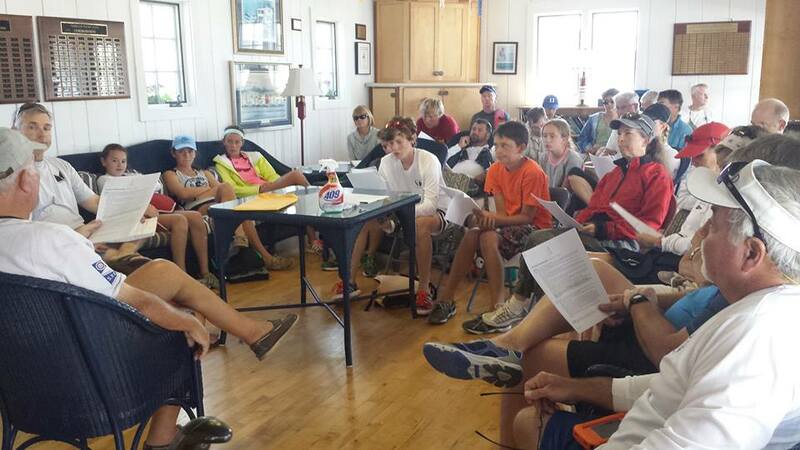 Flying Scot Fleet #44 hosted a pre-regatta, on-and-off-the-water clinic, organized by Fleet Captain Jennifer Ikeda-Faugust with coaches Ryan Malmgren and Larry Taggart on Friday afternoon. The clinic was followed by the Regatta Welcome Party. PRO Dan Goldberg of Pittsburgh, PA was able to get in three races on Saturday. The projected high winds had subsided enough to hold races in moderate to what ended up to be light conditions. The first two races were W/L with three legs; the third race was W/L with five legs. Each race had different conditions and you couldn’t predict which side of the course would be better, making for a lot of interesting changes throughout each race. Racers headed to the 40th Annual Bratfest following racing for an evening of all the bratwurst, roasted corn and beer you could eat and drink. Sunday morning showed bands of storms approaching. PRO Dan Goldberg called for a postponement while the Race Committee watched the radar. 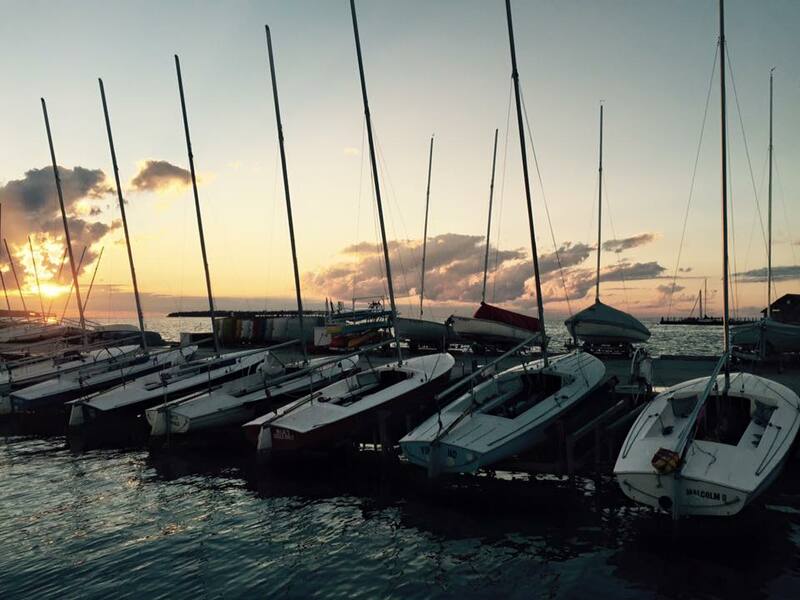 After waiting for a while and determining that it would be difficult to launch boats and get in a race before more severe storms approached, the Race Committee abandoned races for the day. While it may have been possible to get in one race, it proved to be a wise decision to cancel for primarily safety reasons. Subsequent to the trophy presentation and just following the last boat to leave the club, the third storm came through, bringing winds with gusts up to 70 (and three Flying Scots blown over on their trailers), followed by power and Internet outages for thousands of people. 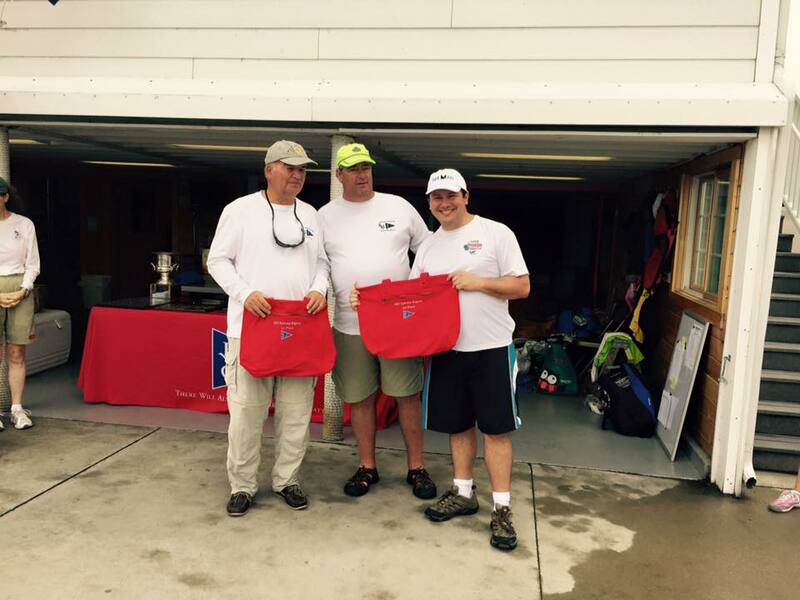 The 111th Ephraim Regatta will be held next year on August 6-7, 2016.